A) You want to pack on overall muscle size and strength. 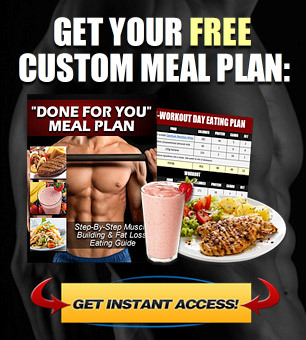 B) You want to burn off body fat and get a leaner, more defined physique. Heavy weights lifted with a high level of intensity… low to moderate reps… compound exercises… with a focus on continual progression from week to week. I’m not even sure where or how this myth started, but the idea that “heavy weights/low reps builds muscle and light weights/high reps burns fat” is still a belief commonly held by a huge percentage of lifters. They’ll switch over to their cutting phase and then reduce the weights, increase the reps and include more isolation exercises to somehow “define the muscles” and bring out more hardness and separation. In fact, this “muscle definition workout” approach is completely misguided and downright counterproductive to your goals. You can make them bigger, or you can make them smaller. 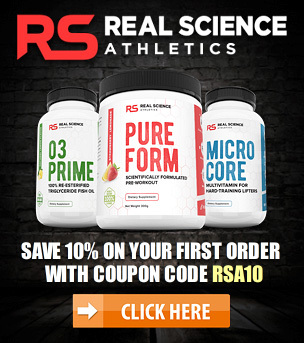 There is NO such thing as an exercise that “defines”, “shapes” or “sculpts” a muscle, and there are certainly no weight training techniques that are going to magically bring out more “hardness” and “separation” in your physique. Muscle definition is a product of one thing and one thing only: the amount of overall muscle mass you’re carrying in combination with your overall body fat percentage. The lower your body fat percentage is, the more defined and separated your muscles will appear; the higher your body fat percentage is, the less defined you’ll appear. On top of this, there is no way for you to target fat loss from specific areas of your body by training with weights. This is known as the fallacy of “spot reduction” which I’ve talked about many times before. Any time you train with weights, all you’re doing is stimulating the specific muscles that are involved in the movement. However, this has NO effect on the fat stores in and around that area. Fat loss occurs as you place your body into a calorie deficit by consistently burning more calories than you consume. This is accomplished by reducing your dietary caloric intake and by increasing caloric expenditure through additional cardio exercise. Over time you’ll lose fat from your entire body as a whole, but you have no control over the specific areas where fat is burned from. 1) There is no possible way to use weight training to “define” or “sculpt” a given muscle. All you can do is make your muscles bigger or smaller. 2) Fat loss is achieved through a caloric deficit, which will cause you to lose fat from your entire body as a whole over time. What is the correct approach for a “muscle definition workout” then? It is exactly the same as the approach you used when your goal was to gain overall size and strength. You need to train with heavy weights (weights that are heavy foryou as an individual that is), low to moderate reps, compound movements and focus on either improving or maintaining your strength levels each week. 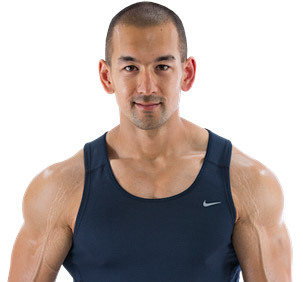 Remember, unless you are genetically gifted or a complete beginner, you’re not going to be adding muscle size while you’re in a calorie deficit. 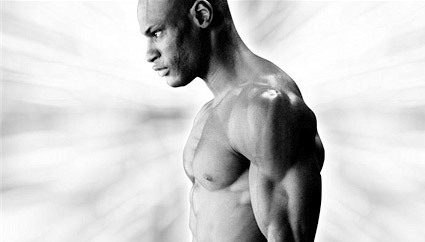 Your goal during a cutting phase is to maximize fat loss while maintaining as much of your lean mass as possible. This is why a properly structured weight training routine is so important during a fat loss cycle. You need to provide your muscles with the most powerful stimulus possible in order to give your body a damn good reason to hold onto its lean mass despite being in a calorie deficit. 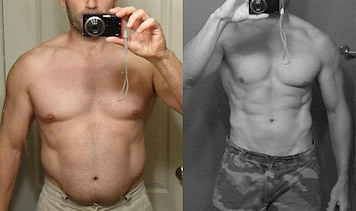 Again, this is accomplished using the exact same principles you followed during your mass gaining phase. As you keep that lean mass intact and gradually reduce your body fat each week through proper diet and cardio, that muscle definition you’re after will gradually reveal itself. 1) Weight training is for maintaining muscle. 2) Diet and cardio is for burning fat. 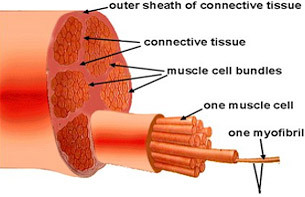 When you follow the light weight/high reps “muscle definition workout” approach, all you end up doing is providing a weaker stimulus to your muscles which actually increases the chances of muscle loss during your cut.